Native Americans, including those who are legal scholars, ordinarily do not use the term “reparations” in reference to their land claims and treaty rights. Rather, they demand restoration, restitution or repatriation of lands acquired by the United States outside valid treaties. These demands for return of lands and water and other resource rights illegally taken certainly could be termed “reparations,” but they have no parallel in the monetary reparations owed, for example, to Japanese Americans for forced incarceration or to descendants of enslaved African Americans. No monetary amount can compensate for lands illegally seized, particularly those sacred lands necessary for Indigenous peoples to regain social coherence. AIM demonstration, October 11, 1992: 500 Years of Resistance. Although compensation for federal trust mismanagement and repatriation of ancestral remains represent important victories, land claims and treaty rights are most central to Indigenous peoples’ fight for reparations in the United States. The case of the great Sioux Nation exemplifies the persistence among Indigenous nations and Communities to protect their sovereignty and cultures. The Sioux have never accepted the validity of the U.S. confiscation of Paha Sapa, the Black Hills. Mount Rushmore is controversial among Native Americans because it is located in the Black Hills. Members of the American Indian Movement led occupations of the monument beginning in 1971. Return of the Black Hills was the major Sioux demand in the 1973 occupation of Wounded Knee. Due to a decade of intense protests and occupations by the Sioux, on July 23, 1980, in United States v. Sioux Nation of Indians, the U.S. Supreme Court ruled that the Black Hills had been taken illegally and that remuneration equal to the initial offering price plus interest – nearly $106-million – be paid. The Sioux refused the award and continued to demand return of the Black Hills. The money remained in an interest-bearing account, which by 2010, amounted to more than $757-million. 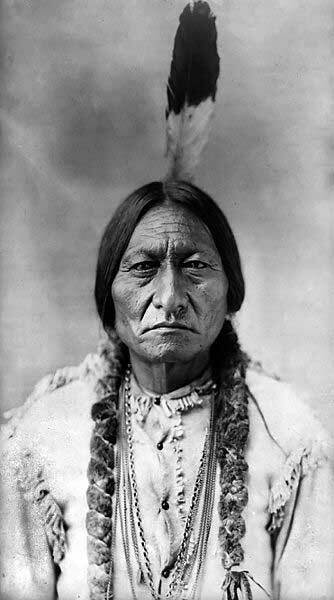 The Sioux believe that accepting the money would validate the U.S. theft of their most sacred land. Roxanne Dunbar-Ortiz has been active in the international Indigenous movement for more than four decades and is known for her lifelong commitment to national and international social justice issues. Her 1977 book The Great Sioux Nation was the fundamental document at the first international conference on Indigenous peoples of the Americas, held at the United Nations’ headquarters in Geneva. Dunbar-Ortiz is the author or editor of seven other books, including Roots of Resistance: A History of Land Tenure in New Mexico . She publishes at www.reddirtsite.com. This article is an excerpt from An Indigenous Peoples’ History of the United States , published by Beacon Press, 2015. Originally published on In These Times website.